The beautiful bayside city of Corozal on Chetumal Bay in far north Belize is across the border from the thriving city of Chetumal in Mexico. I spent the Christmas holidays rolling around the two areas on my trusty motorcycle Rojo. Hello, you of the Cult of the Jitterbug. Your worthy leader is back. The Road Warrior. Spent my Christmas holiday mostly off the grid, indulging my wanderlust by traveling around northern BZ and neighboring Mexico. 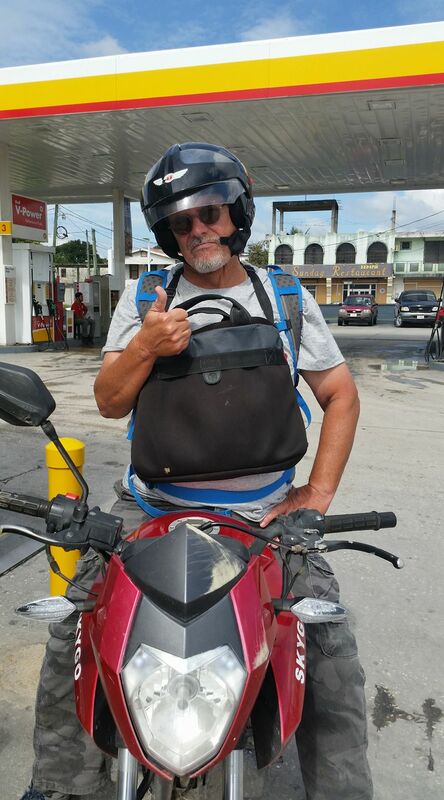 I’m back in San Ignacio where I live in far western Belize, a few miles from Guatemala, from a Christmastime road trip I took via motorcycle to Corozal, a thriving town on gorgeous Chetumal Bay in northern Belize. 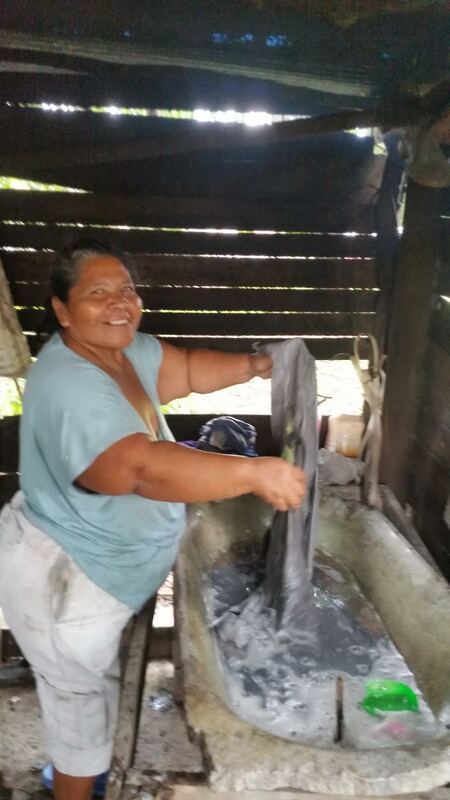 My friend Myrna, a saint, washing my clothes. 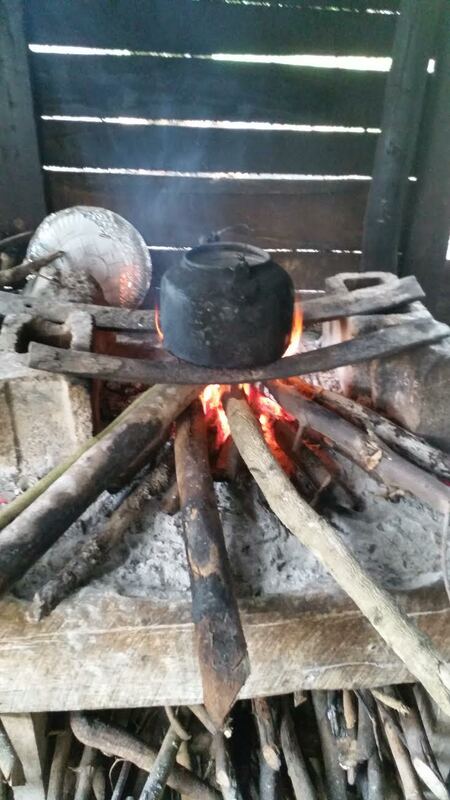 Corozal, which is sugar cane country, borders the bustling city of Chetumal in the southwest Yucatan in Mexico. So mine wasn’t your traditional American Christmas. But it was all I wanted for Christmas–an adventurous road trip to beautiful places I’ve not explored much in Belize and Mexico since moving here four years ago. Myrna’s husband “Pops” is a 79-year-old cane farmer who has three children with Myrna and had 12 children with his first wife who died. Never met a sweeter and more hospitable couple than Pops and Myrna in my life. 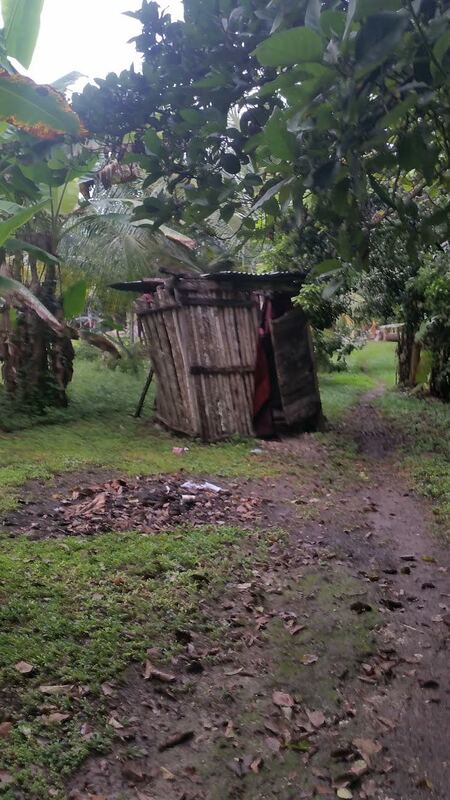 My lodging at their half-acre home wasn’t exactly of the 5-star Belizean resort variety. 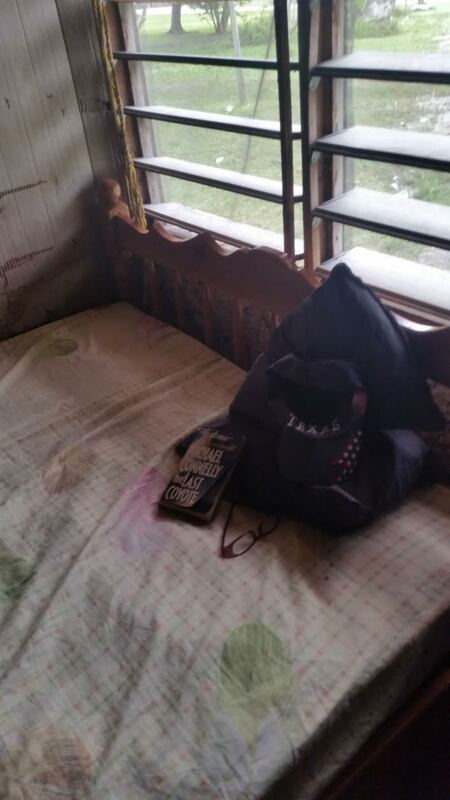 I spent my first, mostly sleepless night in a hammock in an unfurnished cottage behind their cottage because they forgot to borrow a bed from a villager for me to sleep in my first night there. Hammocks are good for napping and chilling out, but not so much for a good night’s sleep. They did come through with a bed the second night. Give me a bed and a little LED flashlight to read an oldie but goody Michael Connelly whodunnit and I’m good. 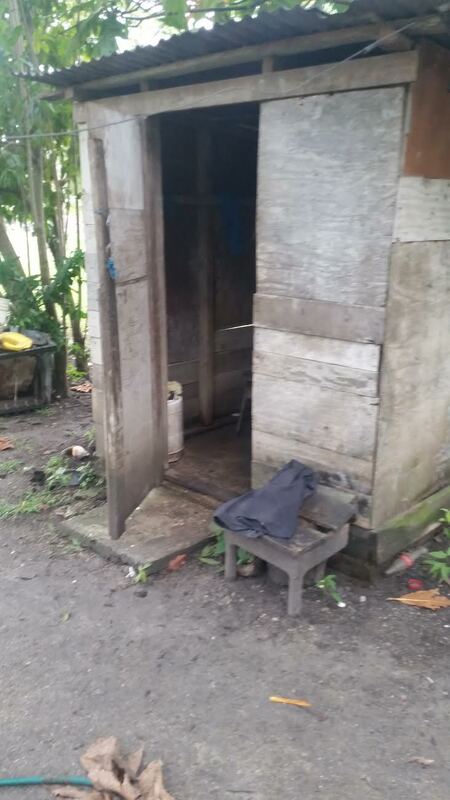 So Myrna and Pops and the villagers in Louisville are like most Belizeans in that they don’t have all the comforts and conveniences that the better educated types have. They work hard and more often than not are struggling just to survive. 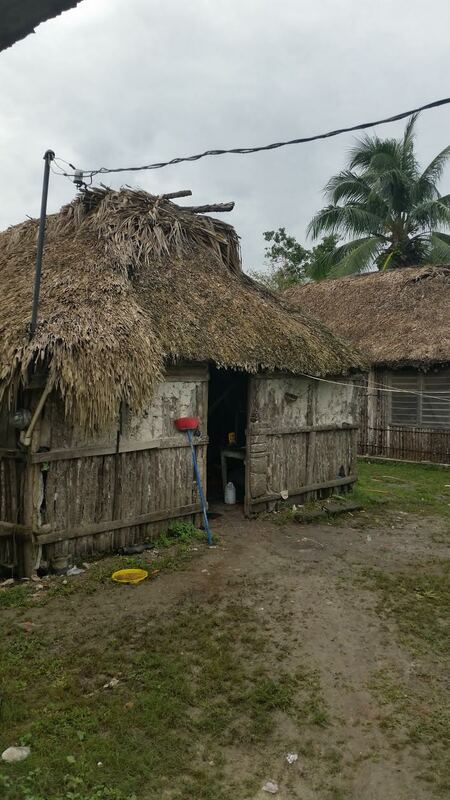 But like so many Belizeans, they’re a God-loving couple who understand that hospitality is at the core of this Christian faith thing. They read the Bible constantly and pray without ceasing. They and their neighbors take care of each other. But then again, they’re richer than many wealthy people. Myrna and Pops live in the cottage made of bush stick and plaster on the left. Their oldest grown son sleeps in the hammock or on the floor in a sleeping back, and another son and his wife and their newborn live in a small but nice cinder-block hut on the property. Their half acre does have a spacious grass lawn where the village kids hang out and play soccer. It also has lots of fruit trees, so all in all it’s cozy little family compound. This time of year the weather is cool and sometimes quite chilly so some hot water in the bathing bucket makes the outdoor bath feel pretty good. And back there is, uh, the plumbing. For more on Corozal, which AARP ranks as one of the best retirement places outside the U.S., go here. 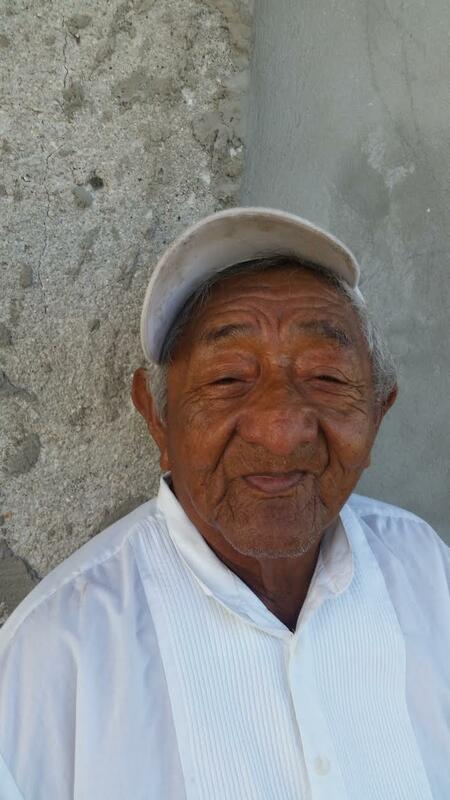 More on Chetumal in Mexico here. See you next year and have a good one, my friends. Love. Joy. Peace. Friendship. These are “abstract nouns,” things you cannot see or feel or taste. But then again, you can clearly see and feel love, joy, peace, friendship and all kinds of fruits of God’s spirit. 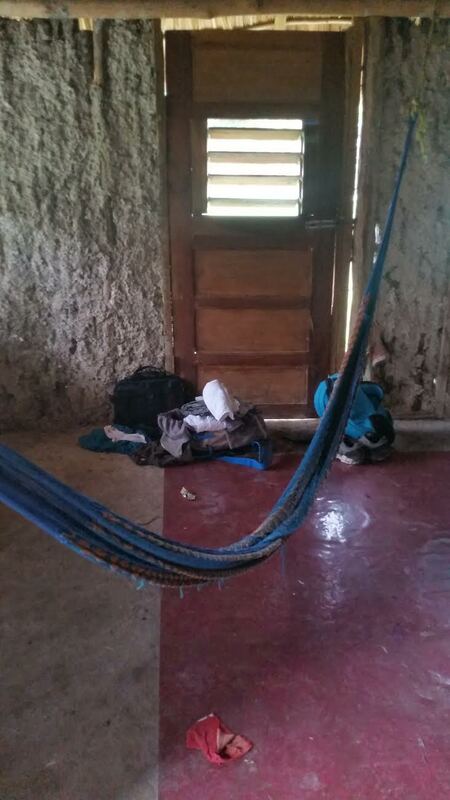 Here in San Ignacio I tutor school kids who struggle in their “language arts” learning. Recently I was instructing a couple of boys on abstract nouns. You’ll recall from your own early education that a concrete noun is something you can generally see, feel, hear, taste or smell. Dog. Cat. House. Street. Taco. Apple. Teacher. Mom. Dad. Those are common concrete nouns. An abstract noun is different. It’s an idea or concept–something you can’t see, feel, hear, taste or smell. Yet it’s real. You can’t see love or joy or peace, not in the way you can see a dog or cat, taste an apple or a taco, touch your mom or dad . . . and well, you get the idea. I wouldn’t want to confuse the kids I tutor by talking about abstract nouns as a spiritual matter, not when I’m teaching them language skills. But as a spiritual matter, children and adults alike can see, feel, hear, taste and even smell abstract things like love, joy and peace. As I do every morning, this morning I read the daily online devotional from Richard Rohr,* the great Franciscan monk and spiritual guide. He notes that you can’t learn how to love through concepts, ideas, and commandments. You need to see and feel a living, loving incarnation. “She is doing it. He exemplifies it. It is therefore possible for me, too.” It is almost more a taste, a smell, or a touch than an idea. Recent Christianity has relied far too much on ideas instead of living models. Sincere believers can smell holiness, even when the words might seem unorthodox. They can also smell unholiness from people who seem to do religion perfectly. Turns out you can see an abstract thing like love or holiness. 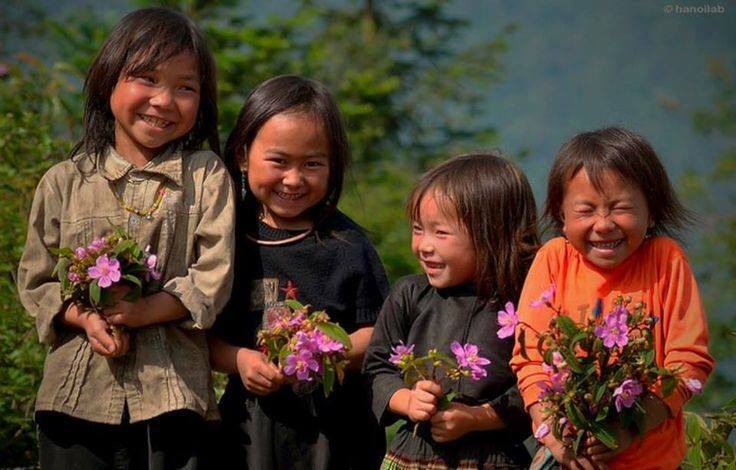 We’ve all seen love and joy and peace and such in people overflowing with the love of God. May all who read this catch the true spirit* of Christmas in the days and years ahead. *If you’re not familiar with His Greatness Richard Rohr go here. *Spirit: an example of an abstract noun. It’s Saturday night and I’m getting in the holiday spirit with a Gin and Tonukka. 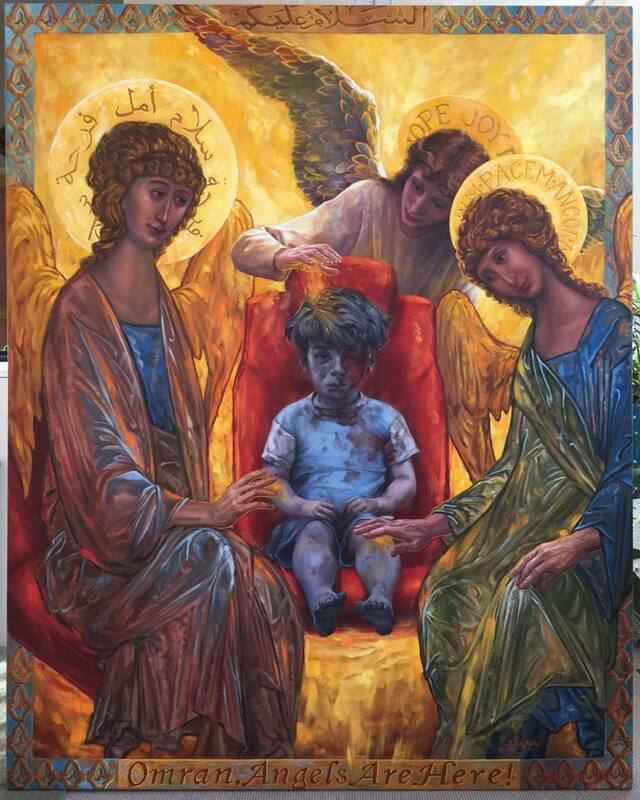 This painting “Omran, Angels Are Here! is by Salt Lake City artist Judith Mehr. Omran Daqneesh is the Syrian 5-year-old Syrian who was injured and shell shocked in an airstrike believed to have been by the Russian Air Force. Omran’s 10-year-old brother Ali died in the attack while the rest of the family was rescued from their apartment building that collapsed shortly after the rescue. Lord in your mercy, we pray that somehow your will for peace on earth, good will and justice for all will prevail. Amen. Leave it to the Naked Pastor (David Hayward at http://www.nakedpastor.com) to boil it down to the essence. Illustration by His Greatness David Hayward, the Naked Pastor. Jesus wasn’t born to a prosperous family in a McMansion in a manicured suburban neighborhood or gated community, much less anything like a rich family in a Trump Tower in a great New York-ish-type city. 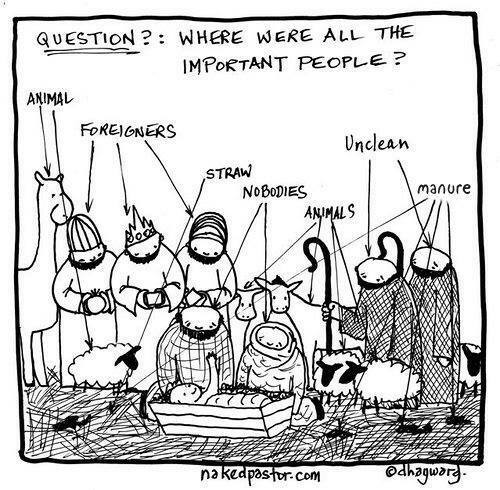 The vulnerable Jesus was born in a no-count backwater place, far from any important trade center or route, in a barnyard, no less, to humble parents who were on the lam as homeless folks for a good long time. That’s the essence of the birth and incarnation story. The Messiah wasn’t the sword-wielding, Roman-killing King David type that everyone was expecting the Messiah to be. Jesus was this vulnerable child, reared by humble parents, who grew up to be a rabbi who definitely didn’t fit the strongman savior profile. That’s not to suggest that he wasn’t strong; he was the strongest and most fearless man who ever lived. But certainly not strong and fearless in the sense of some kind of cartoonish American action figure. He was born in a humble and vulnerable setting. “Utterly cursed is everyone who is hanged on a tree” (Deut. 21.23). Anyone in biblical times tortured and crucified was not just being punished by the Romans as a criminal–he was considered a sinner cursed by God Himself/Herself. We find strength and salvation in our weakness, our vulnerability, not in our using money or power or even the Bible like some kind of sword. That there weren’t any armed people puffed up with power in the barnyard outside the Inn speaks volumes about the birth, life, ministry, and death of our Lord. 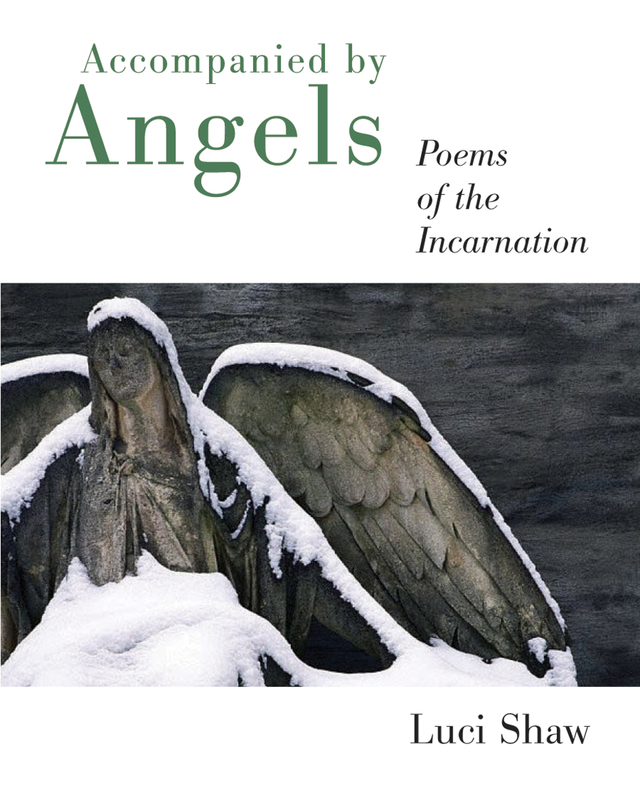 It’s one of the poems in Shaw’s book Accompanied by Angels: Poems of the Incarnation. I love this advent poem and commend the poetry of Luci Shaw to anyone who may be unfamiliar with her beautiful writing. Go here for her website. And check out her landscape photography at the site as well. I must seen him torn.